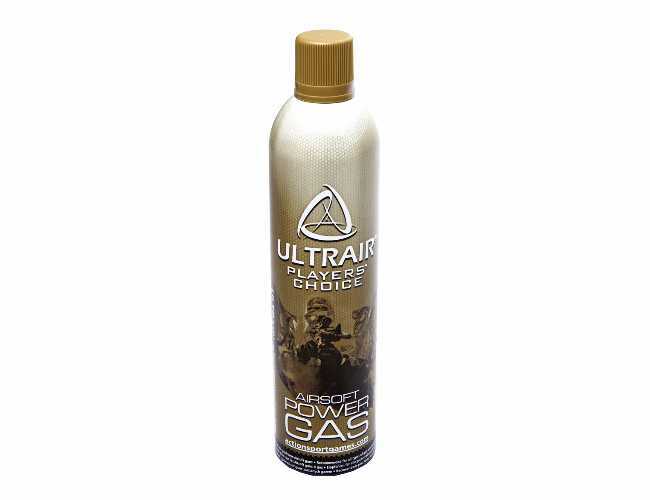 This Ultra Air Green Gas is for use on gas Airsoft weapons. The gas is 570ml in size which is a good size and can be carried with you in games. The can has a safety seal or anti tampering tab. This Ultra Air is a stronger gas that the normal green gas and is best for rifles and pistols with a metal slide. Make no mistake this is a good gas and very popular and gives regular results in different temperature levels. For Gas Operated Airsoft Gun. 10% Butane and 90% Propane. Safe and friendly to the environment. Great functionality on Metal GBB Pistols. The ULTRAIR Power Gas from ASG gives a very high performance and works within a wide temperature range. The filling valves have been designed in aluminum, giving a robust valve that does not snap or warp when it is used.There is a very low waste of gas as the valve very rarely leaks.Contains: 570 ml. and is great value for money.